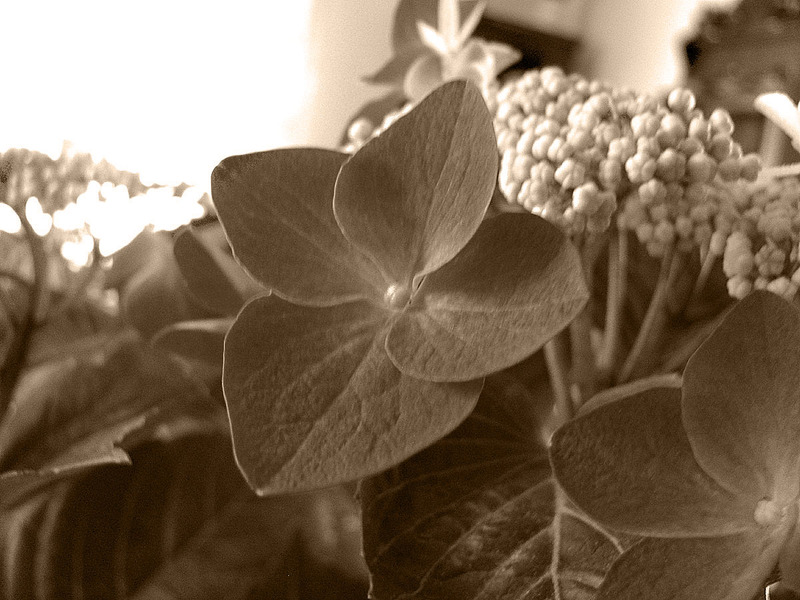 Hydrangea are so pretty. You have captured a delicate detail. Amazing how sepia entirely changes the look of a hydrangea. It so soft. Almost like powder. Very nice shot of that plant. Looks great in sepia. Have a great day!